I saw this book of Lorna Kalaw Tirol titled “Above the crowd.” It caught my attention when I saw the drawing of Vilma’s face which was the most beautiful one compared to other caricatures. This book contained interviews of Kris, Kuh, Nora, Lino Brocka and others. The pictures was illustrated by Nonoy Marcelo. 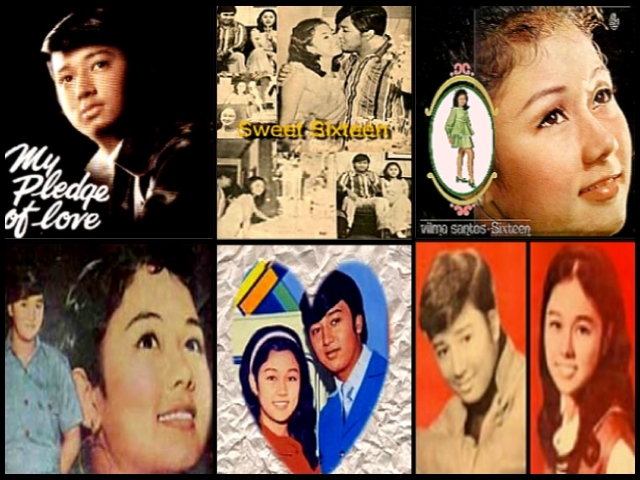 Let me share you the article about Vi (Vilma Santos) and Bot (Edgar Mortiz). “If Vilma comes, can Edgar be far behind? In the colorful world of the Filipino movie fan, circa 1971, the ideological lines (with all due respect to the radicals and the moderators in the movement) are sharply drawn. One is either for Nora Aunor or for Vilma Santos. One cannot like both and be worthy of the name “movie fan.” In fact, there are no fans in the case of Nora and Vilma; they are only fanatics. Nora, her loyal subjects maintain, has a far better singing voice than Vilma. That, counters the Santos camp, is because Vilma is primarily an actress and only incidentally a singer. And Vilma of the doll-like face is definitely the prettier of the two, her fanatics boast. There, we think, the debate should end. The assignment was to interview Vilma Santos for a cover story. We were told that we could catch her one Saturday morning at an Antipolo resort where she was shooting Wonderful World of Music for Tagalog Ilang Ilang. Her director was there, all right, and so was Snooky (child star), too self conscious and too small for her age. 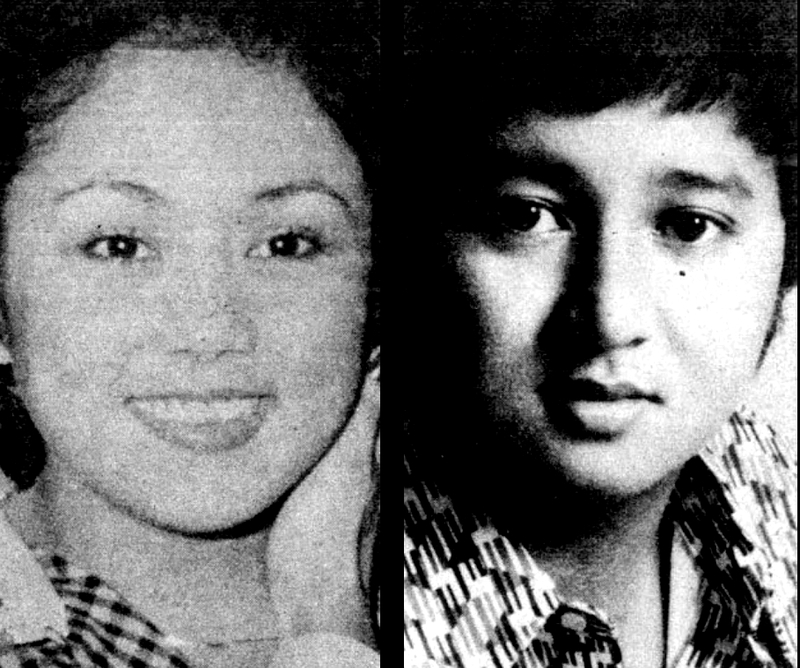 But Vilma was still in Cabanatuan, and so was Edgar. The following Wednesday she was scheduled to start filming for another Tagalog Ilang Ilang picture, Young Lovers. With a title like that, we thought, the movie couldn’t be anything but a further buildup of the Edgar-Vilma love team. But who wants a story when you can have your fill of Vilma and Edgar exchanging sweet words and glances? We were at this house in Quezon City, site of the first day of shooting, at nine in the morning. The entire cast and crew were there, except for the leading lady and her leading man. When they arrived an hour and a half later, the place seemed to come alive. The young lovers were chaperoned by Mrs. Santos, pretty and amply proportioned. We were relieved to see none of the burly tomboys who smothered Nora. It was Edgar Mortiz, with his height and size, who looked more like Vilma’s bodyguard. If he were slim and shorter, he could pass for her shadow. Yet it is difficult to imagine him in the role of bodyguard, he is what older folk would describe as mukhang musmos pa. Edgar Mortiz is, in fact, younger than Vilma Santos who, at 17, is no giggly teenager. She is a woman and she knows it. “A LOT of people tell me that I am very mature for my age” she says at the start of the interview. “I feel it myself. I like to think that I have the mind of 23-yearold woman.” She speaks with unusual poise and selfconfidence, a self-assurance which must explain why she strikes some people as suplada. This entry was posted in ARTICLES and tagged ARTICLES, If Vilma comes can Edgar be far behind?. Bookmark the permalink.